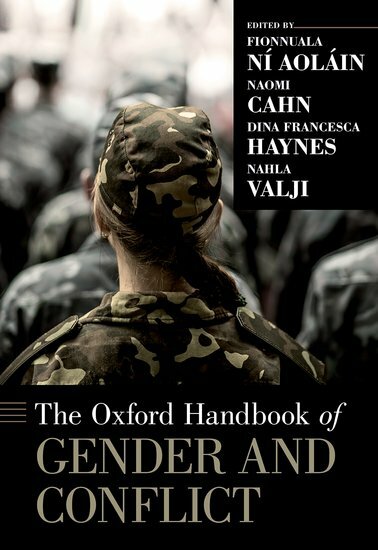 The Oxford Handbook of Gender and Conflict brings together leading interdisciplinary scholars, policymakers, and practitioners to address a complex range of challenges, contexts, geographies, and issues that arise for women and men in the context of armed conflict. The Handbook addresses war and peace, humanitarian intervention, countering violence and extremism, the United Nations Women, Peace, and Security Agenda, sexual violence, criminal accountability, autonomous weapons, peacekeeping, refugee and internally displaced person (IDP) status, the political economy of war, the economics of conflict, as well as health and economic security. It begins with theoretical approaches to gender and conflict, drawing on the areas of international, peace and conflict, feminist, and masculinities studies. The Handbook explores how women and men’s pre-war societal, economic, and legal status relates to their conflict experiences, affecting the ways in which they are treated in the post-conflict transitional phase. In addition to examining these conflict and post-conflict experiences, the Handbook addresses the differing roles of multiple national and international actors, as well as the UN led Women, Peace, and Security Agenda. Contributions survey the regulatory framework and gendered dimensions of international humanitarian and international human rights law in situations of conflict and occupation as well as addressing, and critiquing, the gendered nature and content of international criminal law. The Handbook also includes grounded country case studies exploring different gendered experiences of conflict in various regions. As a whole, this Handbook seeks to critically examine the contemporary gender-based challenges that emerge in conflict and post-conflicts contexts.